Interrogation is irrelevant to the outcome and extraordinarily unfair to all nominees. The rules of “cloture” and “nuclear option” aside and assuming all 100 members are present, it would take 41 senators to filibuster a vote to confirm Elena Kagan as the 112th Justice of the Supreme Court. It seems rather odd that 41 senators could impede the will of 59 colleagues, especially since it only takes a simple majority to complete President Obama’s plan to ensure that the make-up of the Court loses no ground in the relentless pursuit of unlimited (and unconstitutional) power. Guess how many senators are Republicans? In general, I prefer majority rule in a legislative body. But, because confirmation of the wrong nominee to the Court is of such singular importance to our nation, my advice to the 41 is to filibuster. A president’s most important duty is to nominate replacements on the Court. Keep that in mind the next time you vote for a president. 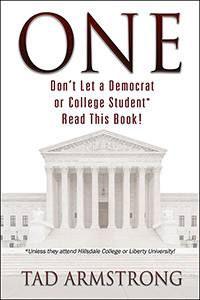 One unelected justice (if they are one of only five votes cast in the many five to four decisions involving such issues as national security, individual freedom, how your children are educated, abortion and immigration) wields more power (for a lifetime) than a four- to eight-year president and all of the short term members of Congress combined. Nevertheless, the Senate has determined that, although we vet a presidential candidate with two years of public scrutiny before voting, 17 hours of softball interrogation is sufficient before voting on what is arguably the most powerful individual secular position on the face of the earth. What did “We, the People” get for our 17 hours? Precious little. But, we didn’t expect to learn anything, did we? The process has turned into little more than free face time for senatorial grandstanding. The only evidence worth considering are the facts revealed by an independent investigation into the nominee’s past. And, the only question worth investigating is whether that past is predictive of a willingness to abide by an oath to support the Constitution (otherwise known as the “rule of law”) or whether it is predictive of a plan “to mold and steer the law in order to promote ethical values and achieve certain social ends” (otherwise known as the “rule of whatever floats your boat”). Ms. Kagan approves of the latter. I do not. Nominees who believe in the activist approach to judging missed their calling, for Congress is where the job of “molding the law to achieve social ends” properly resides. What would I like to see in a Supreme Court Justice? I would not require prior judicial experience, but I do not see how one can judge the law without being a lawyer. Humility is a must, for the best judge is one who understands she is not perfect. And, nothing against ivy, but we could use a few graduates from law schools planted within a mile of a good corn crop and who either have had experience in running their own business or have labored by the sweat of their brow on the way to their law degree. 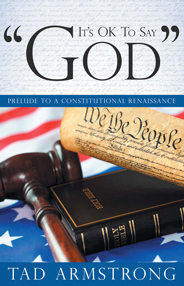 And finally, their past actions (not present promises) must establish that they know what it means to take an oath to support the Constitution before inheriting the awesome obligation to preserve (not mold) it.